Ace Lahli’s professional history demonstrates the old adage that “luck is what happens when preparation meets opportunity.” Ace always had a strong passion and love for architecture, but as he was starting out, no obvious way to channel it. While biding his time, the native Texan created and operated his own menswear line, worked as a full-time financial adviser with Wells Fargo and JPMorgan Chase, and served as a personal stylist at Nordstrom. The last stop was where his “luck” turned, and he was ready. He developed a friendship with his client, top-producing agent Mark Cain. Ace’s expert level of care, engaging personality and great listening skills caught Mark’s attention. He knew after hearing Ace’s background, he had the makings of a successful real estate agent which led to Mark extending an offer to Ace to join his team as an intern. From there, Ace began studying for his real estate license and learning the art of the trade from his mentor. With hard work and steady plodding, it was not long before Ace had his own listings, and in just two short years, $20 million in sales. 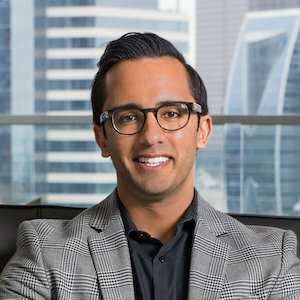 He has listed and sold properties from multi-million dollar homes in Preston Hollow down to starter homes in Uptown, and done multiple lease deals along the way. His five-star Google reviews prove his style and work ethic aren’t going unnoticed. When not at work, Ace enjoys playing recreational flag football, collecting sneakers, and discovering new restaurants in the Dallas area.